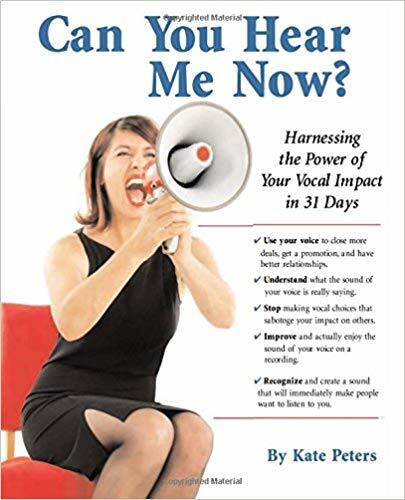 Vocal Training Exercises ☆ to Resonate Your Voice - Vocal Impact, Inc.
Do you lose your voice at parties and conferences because you can’t be heard over the noise? Ever wondered how to create a voice that is strong – one that carries well over a distance? I love my blog. It connects me with people all over the world. Many write to me via my contact form. Lately, I’ve received several letters dealing with the same issue: vocal power. I’m pretty sure that all three of these people have been told to “project” or speak up when they talk. What does that really mean? Should you just speak more loudly? Maybe it helps a little, but that’s not a lasting answer. What makes a voice powerful? You REAP what you sow! You can’t just increase the volume to create power in a voice. You must have a strong vocal physique and a voice that reverberates and this should be combined with intention and practice. This approach reaps rewards. That’s why my techie clients have given it an acronym…the REAP approach to a strong voice. REAP stands for Resonate, Envision, Align, and Practice. I will take you through all four steps, starting with the first, Resonate. Resonance is the reverberation or repetition of sound in the environment in which it was created. There is resonance in the body as well as resonance in the surrounding area when someone speaks. The resonance in the body can be felt by the speaker. The two extremes of resonance are “head voice,” which is where high sounds resonate, and “chest voice,” which is where low sounds resonate. However, most sounds the human voice makes also resonate in the mask, or the front of the face, with a mix of lower and upper resonance. This mix of resonance is called “mask resonance.”A voice with plenty of mask resonance is strong, and clear, no matter how loud or soft. A voice with good mask resonance is pleasant to listen to, vibrant and flexible, allowing for a great deal of vocal variety. Mas resonance can be intensified through exercise. To find it, try the exercise below to find a sound that produces a pronounced vibration in the front of your face. Exercise: Try it now. Say “Mmmmm.” See if you can feel the buzzy sensation in the front of your face. (I’ve had a lot of fun doing this on radio interviews.) That’s mask resonance. Another way to produce it is to simply say “Mmm-hmm,” like an enthusiastic “yes.” Now say, “Mmm-hmm one. Mmm-hmm two. Mmm-hmm three.” Can you feel that sensation carry over into the words “one,” “two” and “three?” If you can’t, then work to produce those words in the same resonance by making more of a character voice. It may sound funny at first but as you relax it, you will find that you can keep some of the vibrations without the cartoony sound. Use mask resonance at the beginning of a sentence, and see if you can keep that sensation in the words that follow. For example, say “Mmmmmm. It’s great to see you.” Did you feel the resonance in the mask as you spoke “It’s great to see you,” or did it fade away? Try it again. This does require some practice. You may also wish to listen to an audio file that takes you through this. You can do this by clicking 08 Learning to Identify Mask Resonance. Spend 20 minutes a day working with this, and add it to your awareness as you practice your presentations. Don’t be afraid of this because you fear it might create a nasal sound. You need a good combination of mouth and nose resonance, which is why the focus is on the front of the face, not just the nose. If a voice sounds too nasal, it is as incorrect as one that has no mask resonance. Eventually, you will learn to use mask resonance all the time. And according to Swedish researchers, mask resonance is also good for your health. You can practice more with 09 Learning to Use Mask Resonance. How to project your voice on the blog Speaking About Presenting. Speak up! A guide to voice projection, guest post by Kate Peters on the Six Minutes blog. How to project your voice, on the blog Tips for Talking. Follow me on Twitter. Please “like” my Facebook page. I’m also on Linked-in. If you enjoyed this post or found it helpful, please share by clicking on the share buttons below. Thank you! !